This headset with a single earpiece lets you hear what's going on around you and still take care of business. The ultra-wideband digital audio provides clear, acoustically accurate sound. The highly sensitive, noise canceling microphone gives you the confidence that you are being heard even when you're surrounded by a noisy workspace. Selective Sound - The single earpiece provides the ability to handle calls and still hear everything around you. 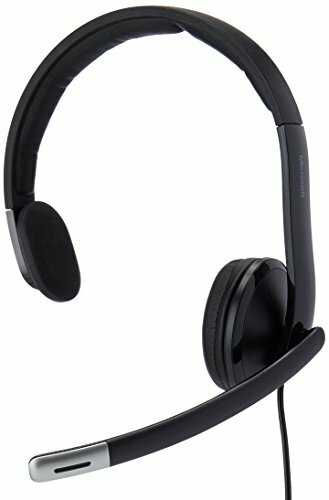 Noise Canceling Microphone - Meetings and conference calls will be more productive as voices clearly cut through even noisy surroundings. Inline Volume and Microphone Controls - Adjust volume or mute on the fly with handy inline controls. And the call indicator light lets people know you're "busy." All Day Comfort - An ergonomically influenced earpiece and a 270-degree adjustable microphone provide all-day comfort.